How did I manage this? I decided that it was more important to match the neckline than the shoulder. I cut off the excess and, happily, the sleeve fit right in. After all, it’s just a nightie. My son came down yesterday. It was his twenty-fifth birthday. It doesn’t seem that long ago when I was pregnant. It’s really hard sometimes to think of him as an adult. He reminds me of Doug at times. At other times, he’s my little brother, and sometimes, even my Daddy. I wish Daddy had known him. I’m sure he would have loved the fact that he could look him right in the eye. They’re both six-foot five. This entry was posted on July 16, 2010 at 11:43 pm and is filed under Family and Friends, Sewing. You can follow any responses to this entry through the RSS 2.0 feed. Both comments and pings are currently closed. I saw your post while tag surfing. The excess in the back shoulder is ease, so when you reach forward with both arms the nightgown does not feel tight across the back. When sewing the shoulder seam you lightly gather the back to match the front. 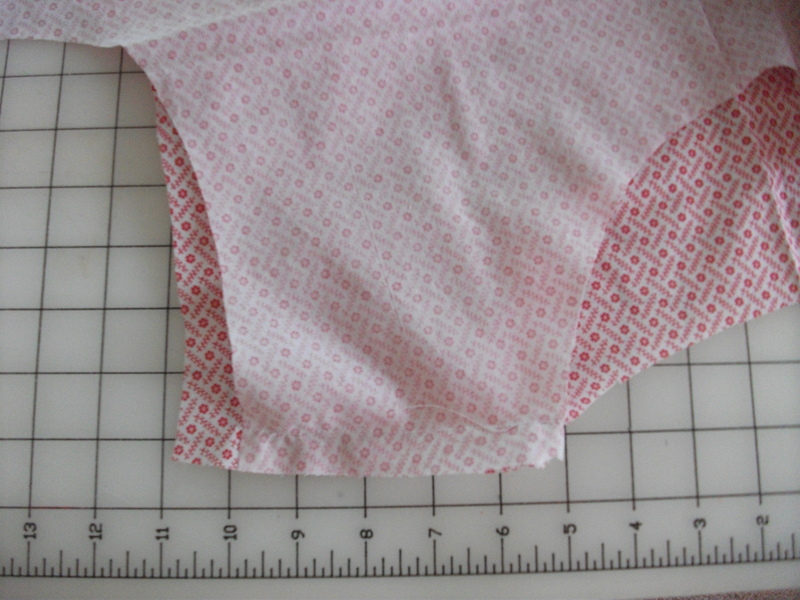 This is accomplished easily by using as short of stitch as possible that will still gather the fabric when pulled. You may not notice the missing ease right away when wearing your night gown. In the long run adding ease helps prolong the garment’s life by reducing strain on the fabric/fibers across the back shoulder area.